Well it’s been a pretty insane Easter! First, an earthquake (my first), the beach then a switchback Amazing Race where the 1st team last week was eliminated & the last place team last week was first! Go Cowboys! I loved all the spa influences in this episode. Malaysia’s breathtaking as a backdrop to the race. The architecture, colors, design all scream tropical tranquility even in the midst of a harried trip. For instance, how about the cowboys speed bump of serving tea to a meditating guru? Wouldn’t it have been hilarious to see the cowboys do yoga with him? The guru seemed pretty amused by their Western hand shakes. Even the balancing flagpoles could be classified as acupressure. I don’t know about you, but, now Malaysia is definitely on my shortlist of places to visit. 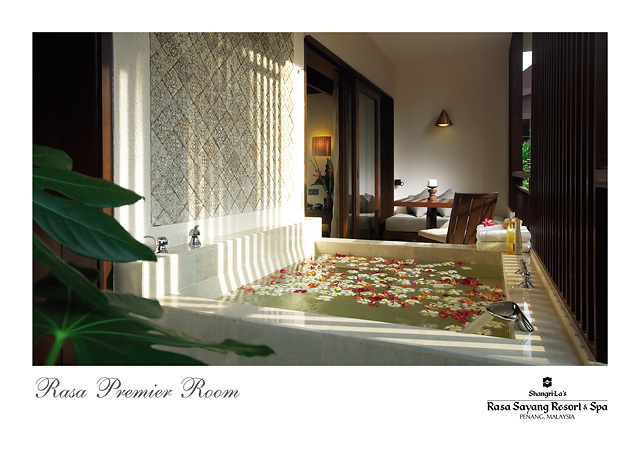 Like I mentioned before, Malaysian style transported me to a cheery place – just like a spa visit would. Why not perk up your home with the rich mustard yellows, fiery pinks and burnt oranges. Try it painlessly using accent pillows, fresh flowers and/or pillar candles. Add a piece of accent furniture in a mahogany or cherry colored wood and silver accessories – for true exotic feel – think an ottoman, bench or even woven square baskets. 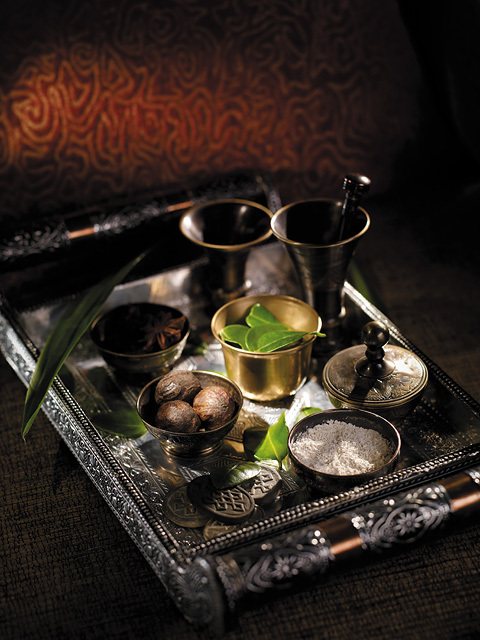 Even a tarnished silver tray from a vintage or second hand store gives instant richness. And let’s not forget the music, try Exotic Spa for transporting tunes. A unique blend of Asian techniques personalised to suit your current Yin/Yang status, focusing on the earth element (building CHI), wood element (moving CHI), and fire element (clarity and peace of mind). Techniques include acupressure, energizing massage for yang stimulation and a relaxing massage for yin calm. Pure oriental element oils are used to harmonise CHI flow. A wonderfully relaxing massage inspired by the traditional techniques of native Malay healers. The treatment begins with a warmed linen pouch steamed with a concoction of local herbs, lemongrass and pandan leaves and applied with gentle pressure to soothe the neck and shoulders. A massage of long kneading strokes follows, using aromatic nutmeg and sandalwood oil to relax and invigorate. outstanding balance of lines and words…. Learnt a lot from you…. visit mine… & plz plz plz post your comments….